Pumpkin beers seem to be a binary choice in the craft beer world – love them or hate them, there are few people that fall in between. I personally don’t mind them, as long as they’re done well. 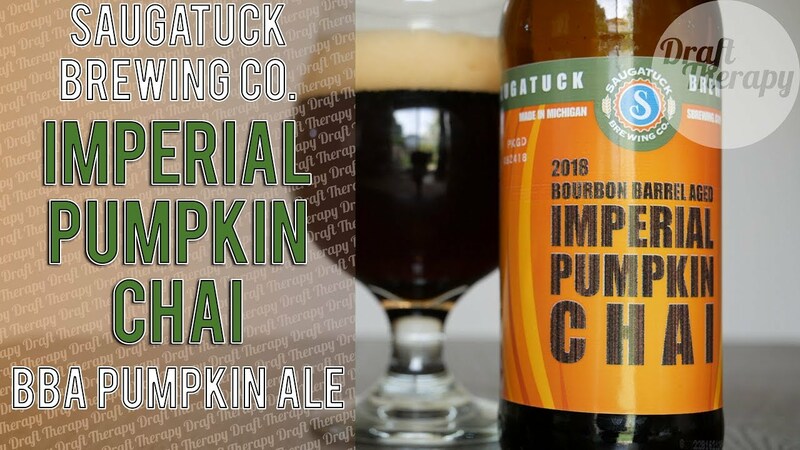 I figured as it was getting closer to Halloween, I should probably try my first pumpkin beer of the season, and what better way to start than with Saugatuck Brewing’s Bourbon Barrel Aged Imperial Pumpkin Chai, which is brand new for 2018. This is officially listed as 2018 Bourbon Barrel Aged Imperial Pumpkin Chai, which is another release in Saugatuck’s Bourbon Barrel Aged series, which joins prestigious company like Beam Me Up Stouty and BBA Neapolitan Milk Stout (which I NEED to get my hands on). So which side of the fence am I on with this Pumpkin Beer? Watch and find out!